GRAD: Gallery for Russian Arts and Design's current exhibition, Kino/Film: Soviet Posters of the Silent Screen, is about that period, largely unremembered in the West, when the Soviet Union was young and enterprising, and looked excitedly toward a bright Technicolor future. A time when it championed radical innovation in design so as to make a sharp break from the past, and to create a new visual vocabulary fitting of a post-revolutionary society. In the late 1910s and early 1920s, faced by chronic shortages of materials, talented Soviet directors were spurred on to create ever more ingenious and experimental film techniques. This innovation was mirrored by poster designers who then strove to incorporate the striking visual motifs into their own designs, employing vivid colour blocking and dynamic typographical experiments to capture the essence of each production. By the mid 1920s, directors such as Dziga Vertov, Sergei Eisenstein and Lev Kuleshov were producing feature-length films showcasing the cinematic montage, repetition, asymmetric viewpoint and dramatic foreshortening that cemented their current standing as masters of cinema. Not that the Soviet audience cared. The hardship of daily life in the Soviet Union meant that most preferred Hollywood's escapism to the dramatic and challenging output of their fellow countrymen. As one Soviet film fan put it, in a letter to a film magazine, 'It’s boring, comrade editor, in a country busy replacing the plough with the tractor, where peasants and cooks run the government. [...] I want to forget myself. I want romance.' 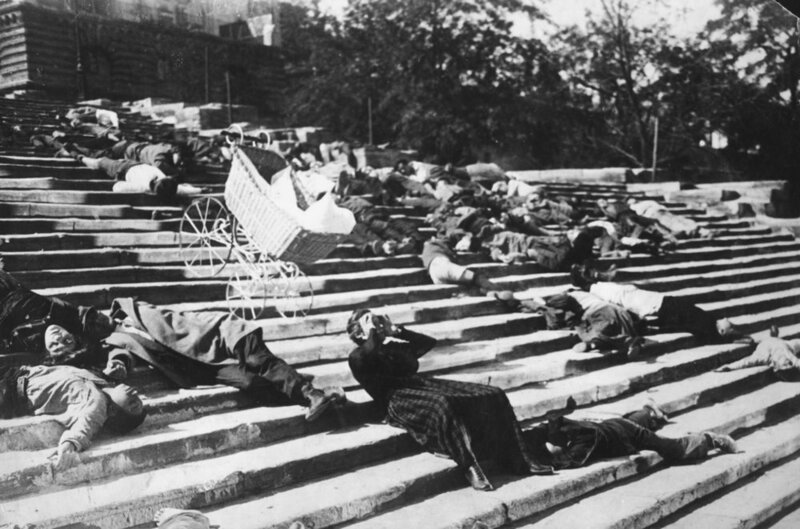 Even Battleship Potemkin, probably the most celebrated film of the period, was at first roundly panned by Soviet audiences, who only returned to see it after receiving glowing reviews from abroad. Meanwhile, the Soviet government eagerly used box office sales from Hollywood blockbusters to subsidise the fledgling Soviet film industry. Mass produced during the 1920s, the posters were made for one use only and few originals survive. Kino/Film: Soviet Posters of the Silent Screen includes nearly thirty original posters shown alongside the films they advertised, highlighting the coherence of vision between filmmakers and poster designers in a pioneering age of design.